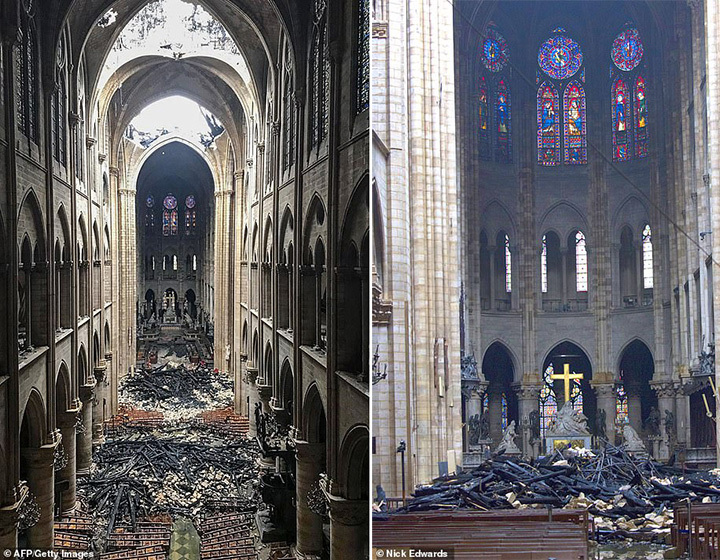 New photos of Notre Dame's interior revealed that all three of its irreplaceable Rose Windows escaped damage, as detectives continue to search for the cause of the fire. The enormous and colorful Rose Windows date back to the 13th century and are considered the greatest medieval artwork still in existence. 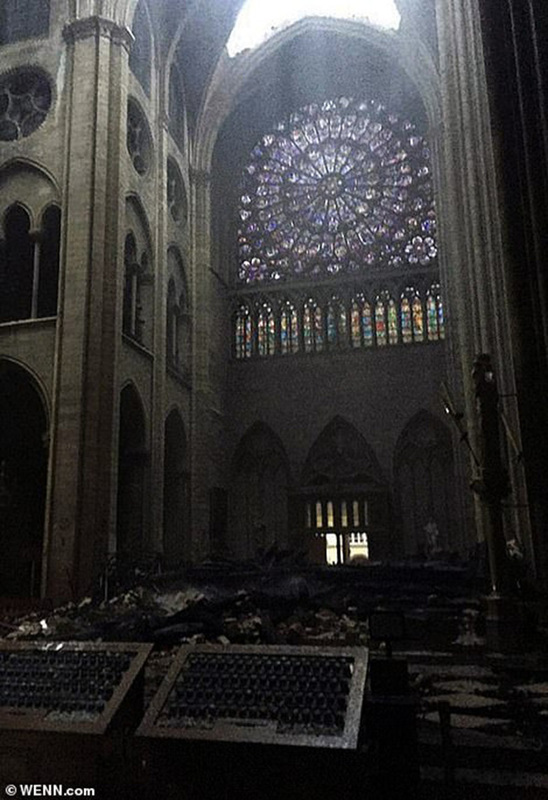 Culture Minister Franck Riester said that the three windows do not appear to have suffered damage, Daily Mail reported. In fact, it seems that the most valuable artifacts inside Notre Dame have been spared. The cathedral's grand organ, which was built in the fifteenth century, was not touched by the flames. The altar and cross are still standing, as well as bells and bell towers. 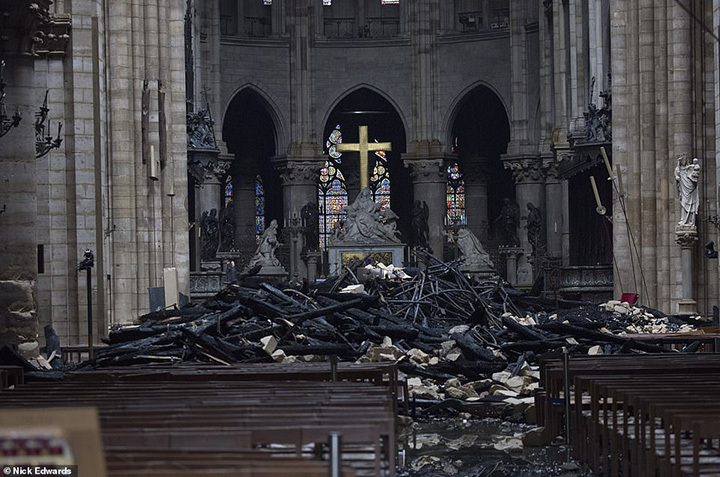 The Crown of Thorns, which some believe was placed on the head of Christ and which the cathedral calls its "most precious and most venerated relic," was rescued from the fire, Paris Mayor Anne Hidalgo said in a statement. French media has also reported that a fragment of the True Cross and one of the Holy Nails were saved.